After a recent pipe lining, a sewer camera discovered that a lateral was leaking groundwater perfusly. After excavation, it was discovered that a 3" section of the pipe was missing at the connection. 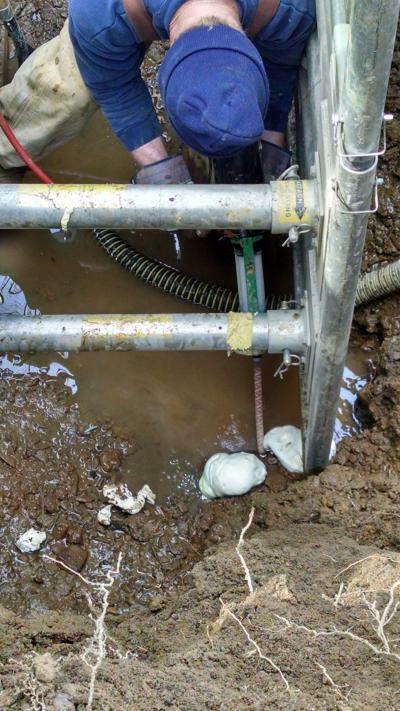 One set of SealGuard II fixed the problem and saved the township from replacing the entire connection and excavating even more.